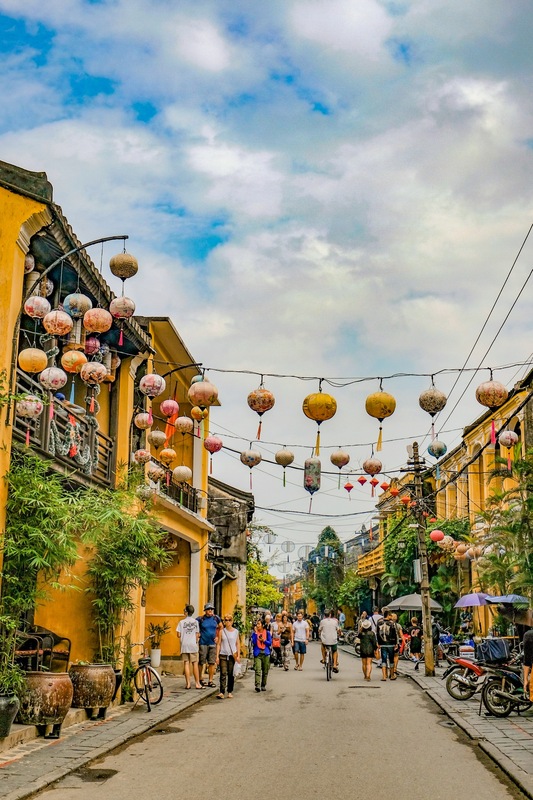 Infamous for photos of it’s beautiful old buildings, lantern covered streets and colourful artwork lining the shopfronts, Hoi An’s Ancient Town is a top highlight for anyone visiting Vietnam. 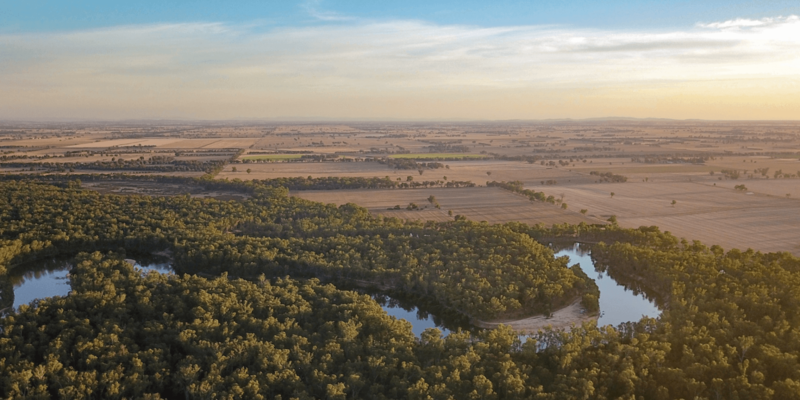 This peaceful little town is a step away from the hustle and bustle of the big cities and is a unique destination that can’t be missed. One of the cutest cities we visited in our time across Southeast Asia, Hoi An is a UNESCO World Heritage site. 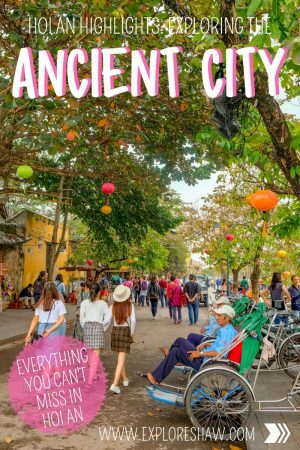 The Ancient Town is a beautifully well-preserved example of a Southeast Asian trading port, dating from around the 15th to 19th century. 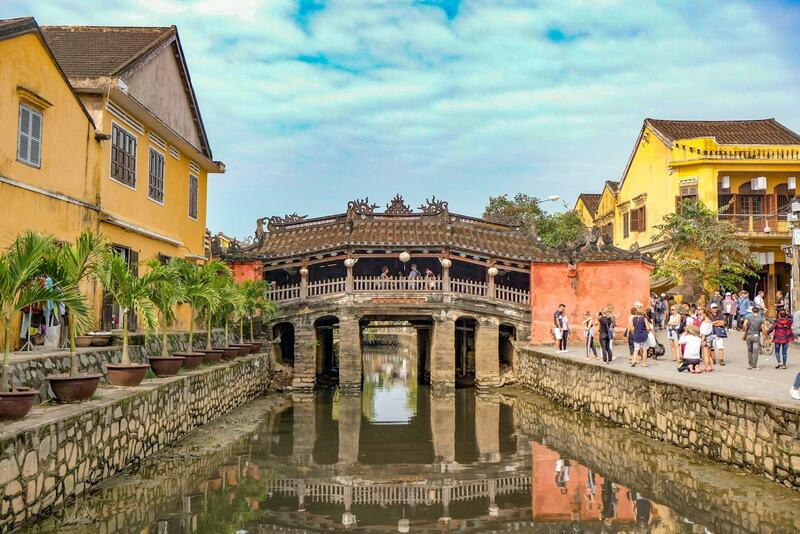 Located along the banks of the Thu Bon River, in Vietnam’s central Quang Nam Province, Hoi An offers a unique insight into another era of time. A number of the buildings are open to visitors, including ancient houses, museums, assembly halls and a traditional music festival at the Handicraft Workshop. The best part about the Old Town of Hoi An is that there are no cars or even motored vehicles most of the day! The streets of the Ancient City are full of pedestrians and the occasional bike rider. There are of course some motorbikes that ignore the rule, but compared to the thousands of bikes in the main cities they’re barely noticeable. 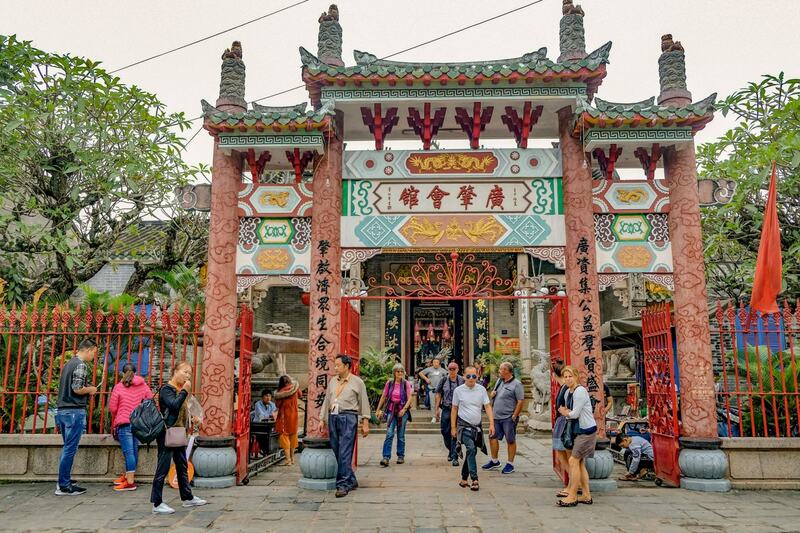 The tickets to Hoi An’s Ancient Town includes entrance to five of the cities 22 buildings and attractions that are spread out around the city. Here’s a quick look into some of the most popular landmarks in the city. Perhaps the most iconic attraction in Hoi An, and maybe even in Vietnam, the Japanese Covered Bridge dates back to the 18th century and was built by the Japanese who were living in Hoi An at the rime, as a way to reach the Chinese quarter across the river. Make sure you check out the impressively carved dogs and monkey sculptures on the bridge, that represent Chinese years. The bridge was restored in 1986 after the archway was once flattened so that cars could use the bridge. The bridge is located at the west end of Tran Phu Street and is always open. The Fujian Assembly Hall in the center of Hoi An was built in 1690 as a place where residents from Fujian in China could meet up and socialize when visiting Hoi An. 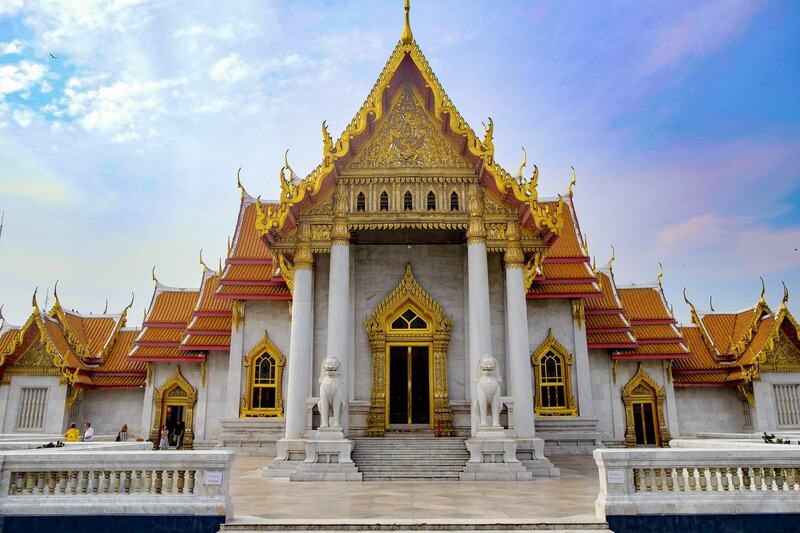 It’s beautiful architecture has made it s World Cultural Heritage Site, also containing the Jinshang Golden Mountain Temple inside it’s gates, which features altars covered in delicately carved dragons. 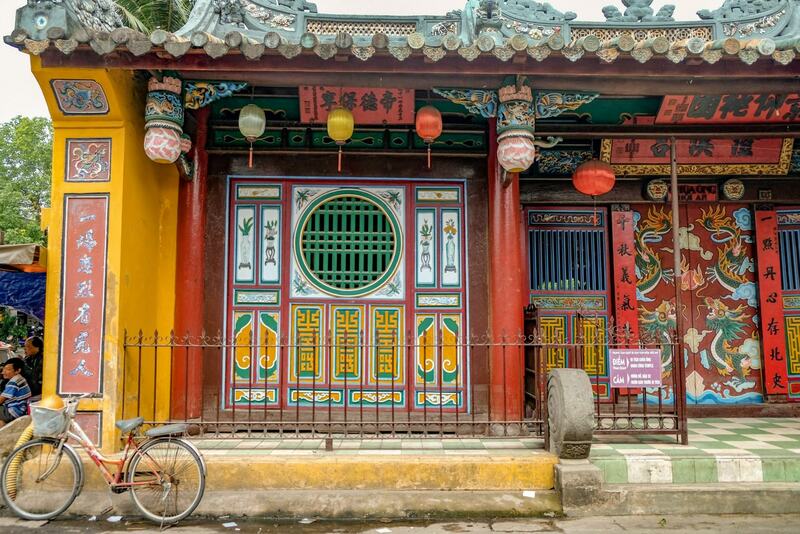 One of the most well-known architectural buildings in Hoi An, the Phung Hung House was built in 1780 and is a typical house of the time that represents Vietnam’s urban areas in the 19th century. 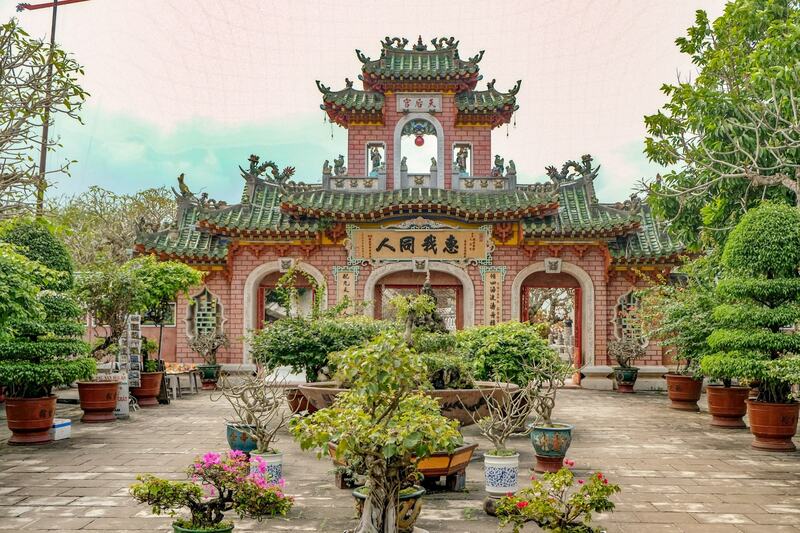 The Cantonese Assembly Hall is one of the most beautiful attractions in Hoi An, as well as holding great historical significance. On the Hall grounds you will find an amazing fountain of dragons, many Cantonese statues and intricate artwork. For a complete look at the origin and history of Hoi An, the Museum of Trade Ceramics is the place to go. Here you can get an insight into the history of the town, and see a selection of Chinese, Vietnamese and Japanese ceramics that were found during archaeological digs around the area. While the main attractions scattered amongst the Old Town are a cultural highlight of the city, there are still an endless number of things to do in the Ancient City that you shouldn’t miss. If you cross the river from the Old Town, you will find the Night Market. In the market you can find some of the best local street food, gifts, souvenirs and artwork. 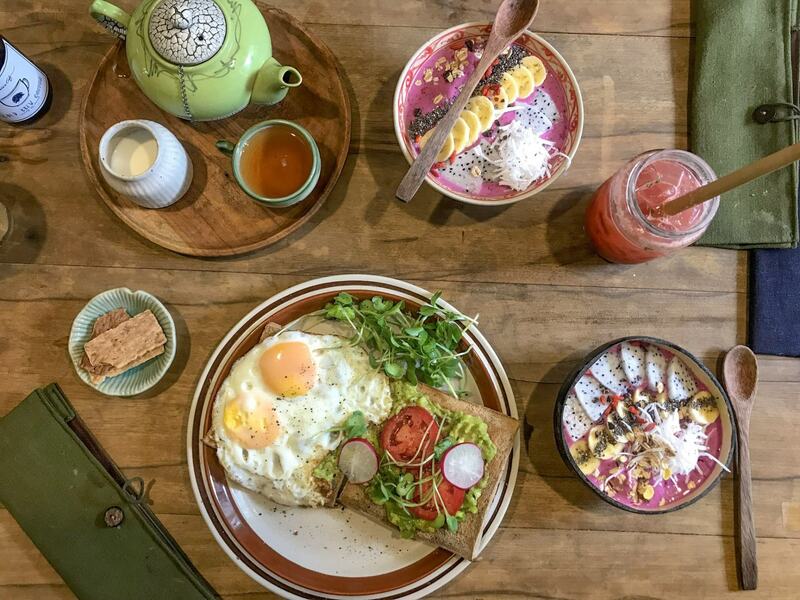 It’s definitely worth checking out, even for the food alone! 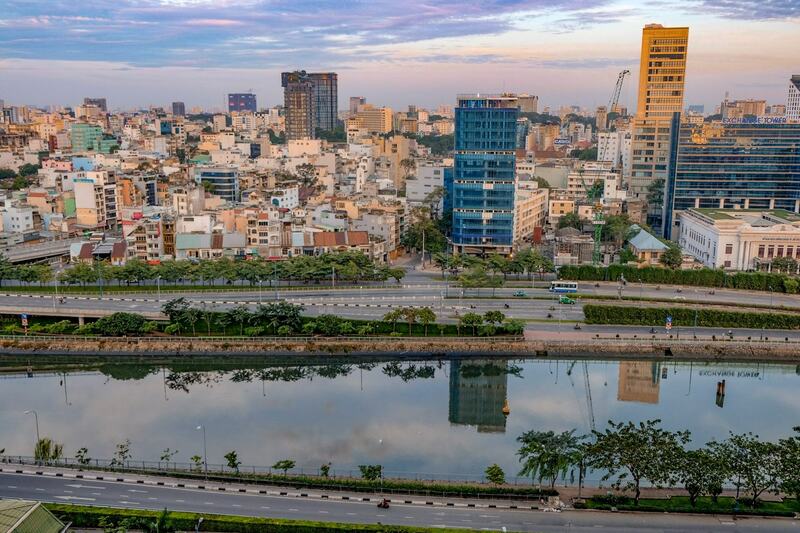 Vietnam is famous for their tailored clothing and their super fast turn around time. You can get anything you want made in the Old Town, from jackets and coats to suits and even wedding dresses. You can choose from any kind of fabrics, an endless amount of colours and any shape size or design you would like. 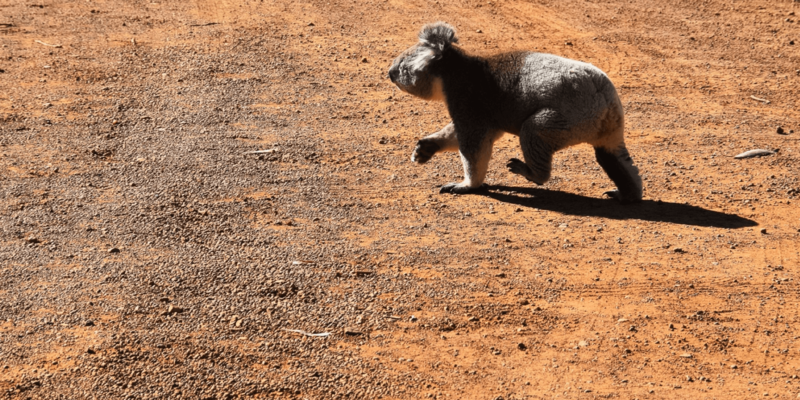 You can even just take them a photo of something you have seen and they will try and replicate it for you as best they can. The tailors in the city can turn clothes around in as little as 24 hours, and will often ask you to come back as they go so you can double check the sizing and make sure everything is how you wanted it. Give yourself at least 2 days in case you need a few adjustments. There’s an interesting mix of shopping in Hoi An. You can find your usual designer and branded knock-offs here as well as typical Southeast Asian style bags and souvenirs, but there are also heaps of cute little boutique stores, offering unique clothing, hand-crafted gifts and well designed homewares that we didn’t see anywhere else in Asia. Make sure you take the time to check out the shopping here, especially the little boutiques and unique gifts that you can find. There’s also some really beautiful artwork around Hoi An, which are well worth a look. 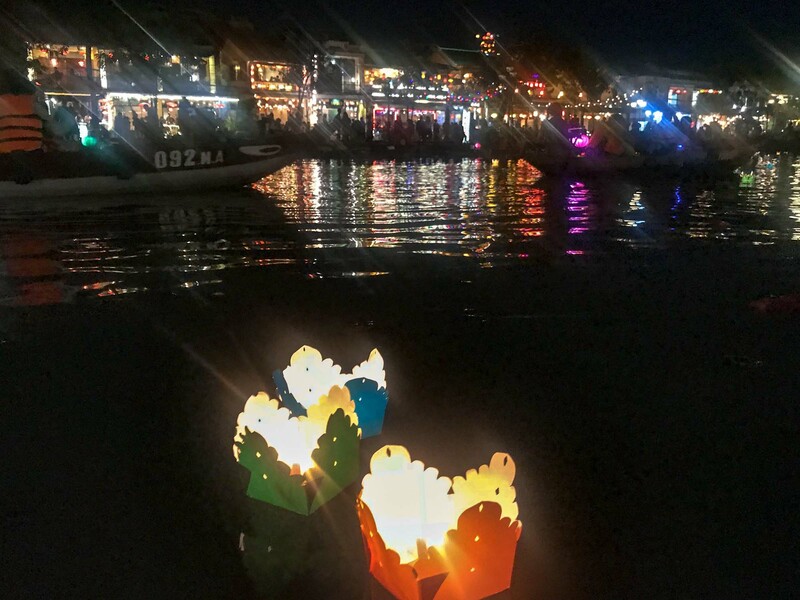 To make the most of your trip, make sure you organize your visit to fall during the monthly Hoi An Lantern Festival, that is held in line with the full moon each month. During the Lantern Festival, Hoi An really comes to life. Street lights are turned off and the whole town is lit by the light of lanterns hanging across the streets. On the river locals and tourists purchase lanterns to make a wish of good fortune on and float across the river. It’s a beautiful time to visit Hoi An, such a peaceful and beautiful ceremony. We would also recommend renting a small boat which can take you further out along the river so you can release your lantern in peace. Only a short bike ride from Hoi An’s ancient town, An Bang Beach is a beautiful place to relax and unwind after a morning of shopping and exploring. 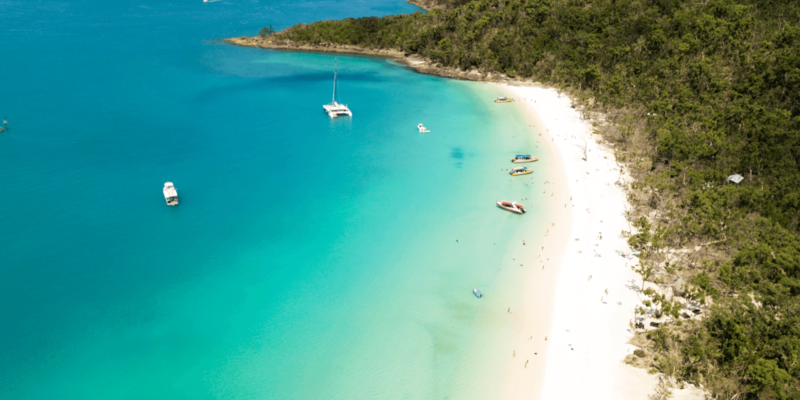 This white sand beach is lined with palm trees and beach resorts where you can grab a bite to eat and enjoy the warmer days. 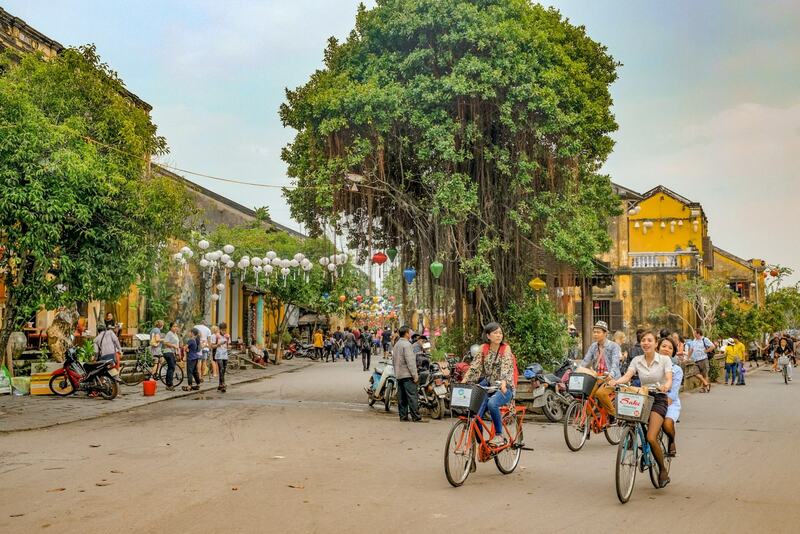 Everyone entering the Hoi An Ancient Town will need to purchase a ticket to access the town, which will be issued by the People’s Committee of Hoi An City. The fee goes towards conservation of the town, to make sure the town is maintained for years to come. The tickets can be purchased at designated ticket booths, which are found near every entrance to the city. They must be purchased outside the city walls and aren’t available once you enter the city or at the front of any of the heritage sites. Tickets cost 120,000 VND for international visitors which are valid for 10 days. The fee covers entrance to the Old Town, five of the historical landmarks within the Ancient Town as well as traditional entertainment around the city. The tickets have will be hole-punched when you visit the main attractions. Tickets are generally for entrance into the Old Town itself, sometimes they will be checked when you walk into the town and sometimes just when you want to visit one of the attractions within the city. Make sure you keep your tickets on you at all times – especially if you’re travelling in groups – because you could be asked to show them at any time. We were always asked for our tickets when we crossed the Japanese Covered Bridge. Always carry your tickets on you as you could be asked to show them at any time. Do a little bit of research to see which attractions you want to visit within the Old City, your ticket will allow you entry into 5 of the 22 houses, assembly halls and museums within the Old Town. 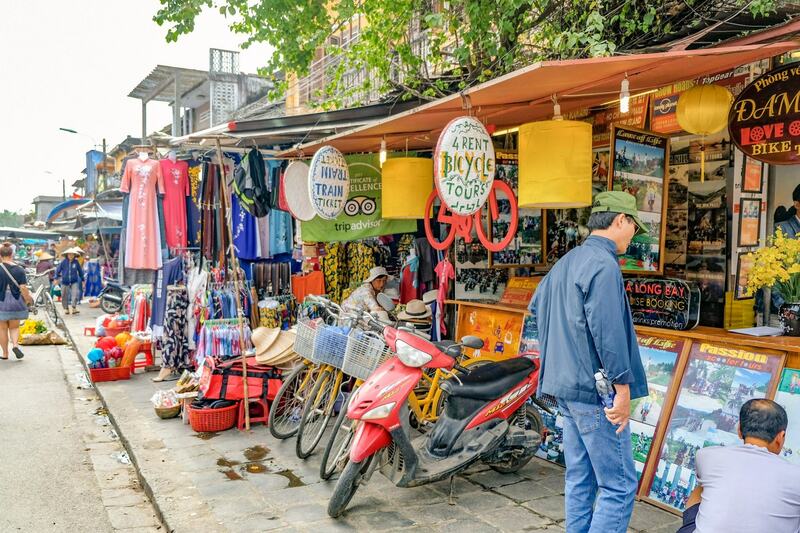 Be prepared for the usual Southeast Asian haggling that will happen – even though it’s a UNESCO World Heritage Site, the Ancient Town is mainly full of shops and market stalls. 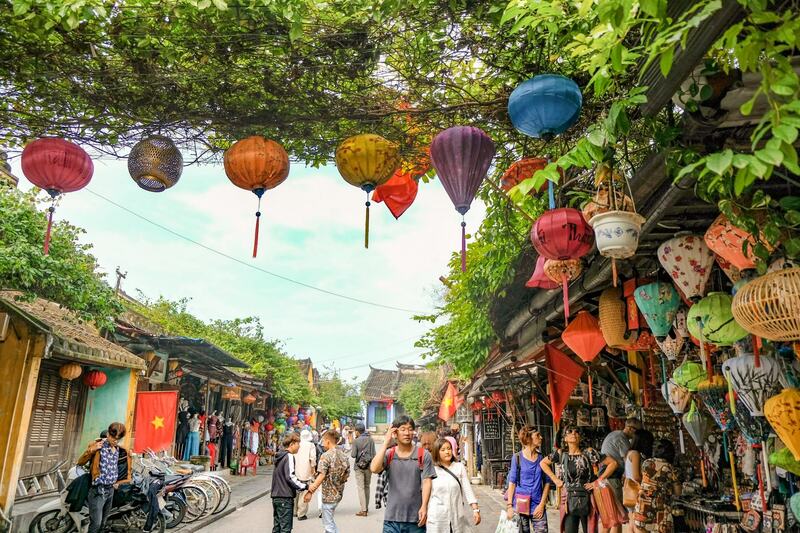 Give yourself at least 2 to 3 full days to explore the Ancient Town of Hoi An alone. Between all the different temples, assembly halls, ancient houses and shops there are to explore, these will be full days! 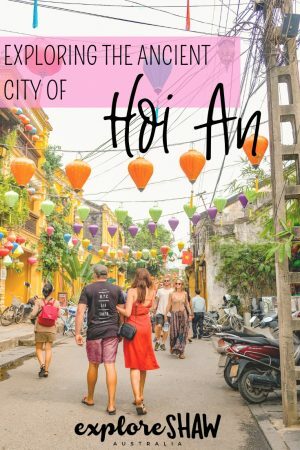 Have you been to Hoi An before? Share your highlights below!